Every lab has its creative chaos. Often it seems as an integral part of a research environment, but when you're tight on time and have scientific papers to submit it will come to haunt you back. 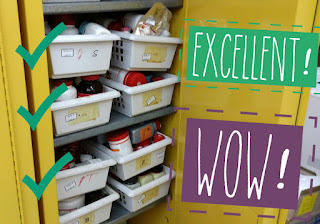 Lab Fairy comes to solve this and turn your experience into more joyful! While every reagent in the lab should be in its place, the chemical will go astray exactly when you need it the most. The problem isn't unique to a specific lab, but typical to most of the labs. We tried to track back the sequence of events and understand what was the point of no return for that chemical. The most common case is that the previous chemical user, didn't put it back. And why? Because its wasn't clear where the chemical should be placed and stored. Wow!! Labeling each bottle with its location makes it really easy to return the chemical to its proper location. 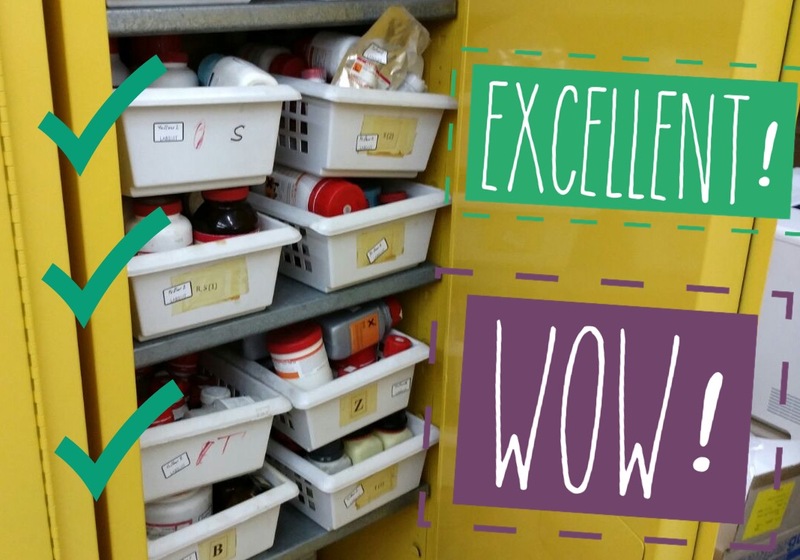 It's pure satisfaction to see one's lab before the lab fairy's touch and after it! Lab Fairy visited Fernando Patolsky lab at Tel Aviv university, whom we pass the best wishes! 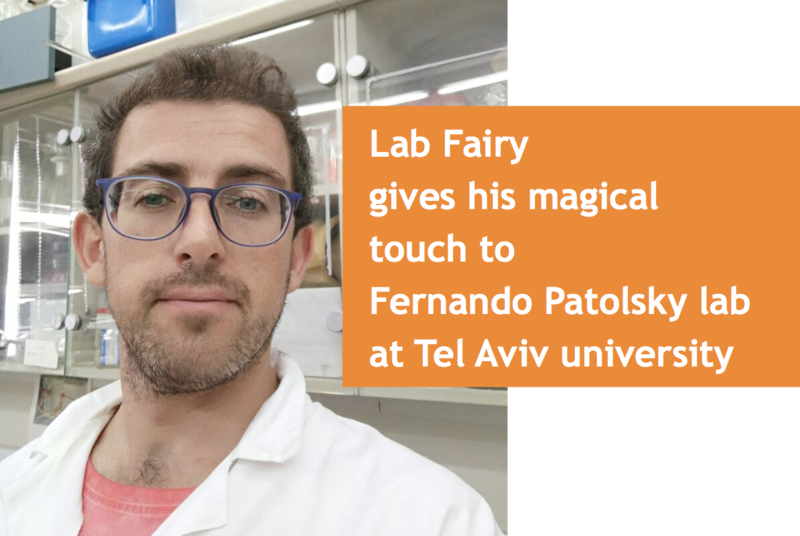 (Who is the Lab Fairy?) As usual, Lab Fairy did an outstanding job. Every container and chemical in the lab was labeled with solvent-resistant sticker. The sticker helps to overcome the inherent lab problem. After using the chemical the researcher asks the sacral question: "Where this bottle should be returned?". Owing to Lab Fairy, the answer is rather simple, since it's written on the sticker. 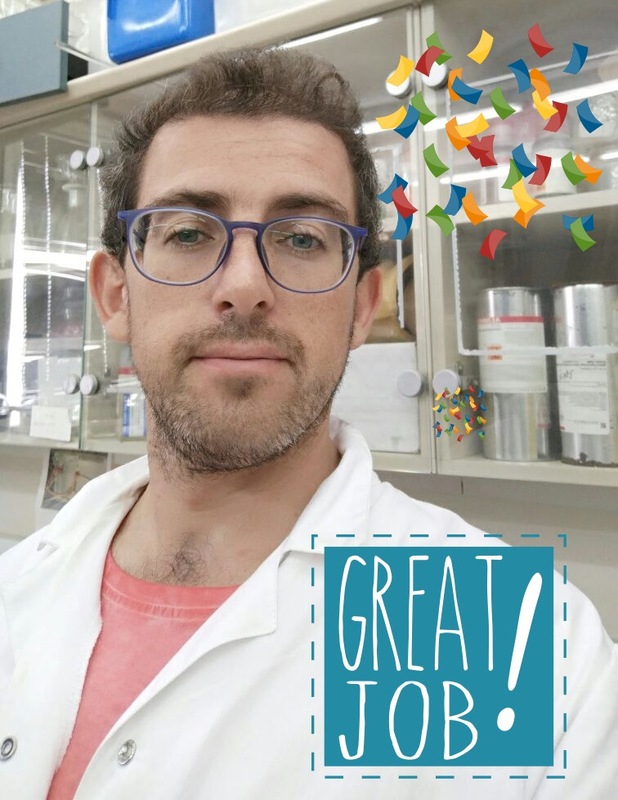 Big thumbs up to our Lab Fairy, Vadim! Planning to upgrade your lab?